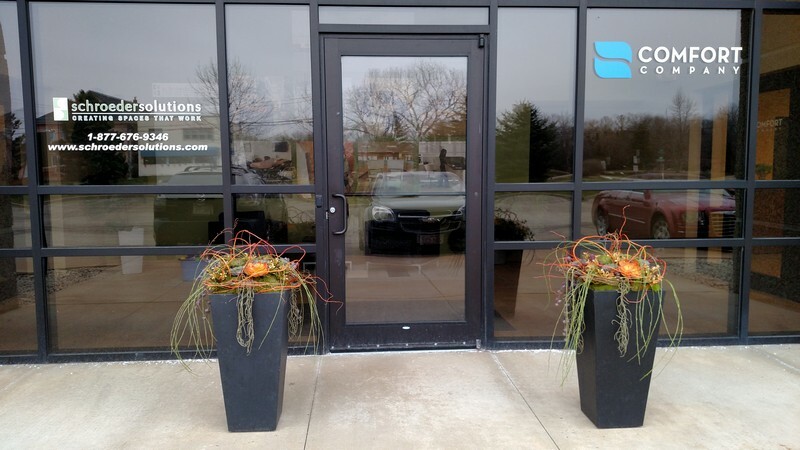 We can help you choose the perfectly-designed exterior planters to accentuate your building's architectural style, filling them to reflect your corporate identity. Whether you are a large corporation or a small business, we can provide the finest outdoor decorative planters to enhance your company's image. Call on our expert staff that specializes in developing your exterior planter design into a work-of-art installation. We offer a beautiful selection of high-quality plants and the finest decorative exterior planters on the market. Our plant specialists and design team take great pride in choosing plants that will work the best for your location. Creating combinations of size, color and textures that are sure to provide incredible curb appeal. When the cold weather hits, our design team can also assist you with winter excitement creating bountiful planters of evergreen boughs, branches and so much more! Call us for high-quality plants and the finest in outdoor planters that will keep your landscaping fresh, healthy and beautiful! Why Choose Greenworks for Commercial Outdoor Planters? 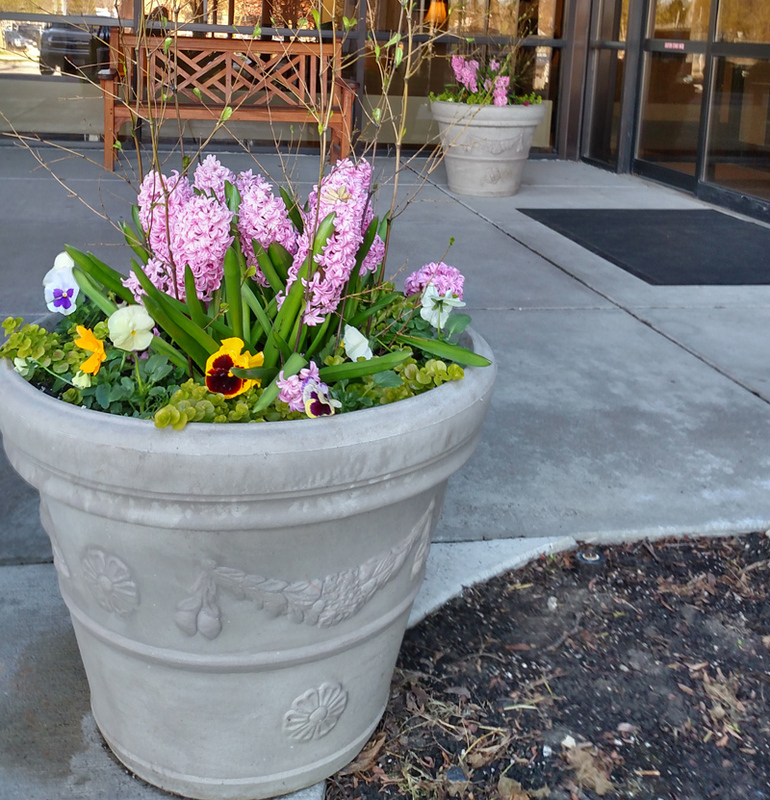 We offer a full selection of decorative exterior planters that will complement any commercial application from business office buildings and shopping centers to condominiums and apartment complexes. 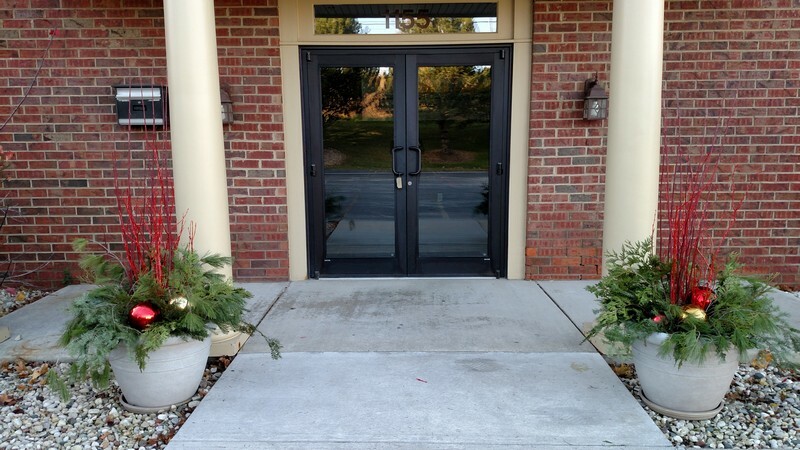 Our decorative exterior planters can be strategically placed at the entrance of a building to provide natural elements that are aesthetically inviting and pleasing. We can also stage a variety of large and small commercial planters for use as a barrier system, or gating method, or any of a number of orientations that will provide the perfect aesthetic effect.